Care farming is the therapeutic use of farming practices. Care farms provide health, social or specialist educational care services for individuals from one or a range of vulnerable groups. The farms provide anything from therapeutic learning environments to qualifications that can lead on to employment. What activities does your care farm provide? Avenbury Care Farm provides activities including therapeutic horticulture, animal care, arts and crafts, wood working and cookery. We have a person centered approach and will tailor each activity to the participants’ abilities and preferences. Who can come to your care farm? What are the benefits for participants attending your care farm? We are a Community Interest Company. This means that we are a business but all our profits go back into the business for the benefit of those who use our services and the wider community. We have set up the farm using personal finances and loans and to be able to provide a sustainable, high quality service we have to charge. Unfortunately at this time, we cannot provide transport so the participant would have to find their own way to and from the farm. What do participants need to bring with them when attending the care farm? Suitable clothing for outdoor work – (protection from wind, rain, sun, mud, wet weather) i.e. waterproof coat and trousers and old clothes you don’t mind getting dirty! Suitable footwear for farm and gardening activities (strong and supportive), wellies are ideal. Do bring a pair of indoor shoes too for hygiene and comfort. Please bring a packed lunch if you are with us all day. Hot and soft drinks and snacks will be available. Please bring any other special equipment you may need such as special cutlery, drinking cups etc. that we may not have here on the farm. Please bring with you any medication that you need to take whilst at the farm. If you need a carer at home, please bring a carer with you to the care farm. Can I visit the care farm before to see if it right for me or someone I care for? Of course! We actively encourage providers, commissioners and carers to come and visit our farm. Please contact us first to arrange a mutually convenient time. We also offer a free taster session for the participant. 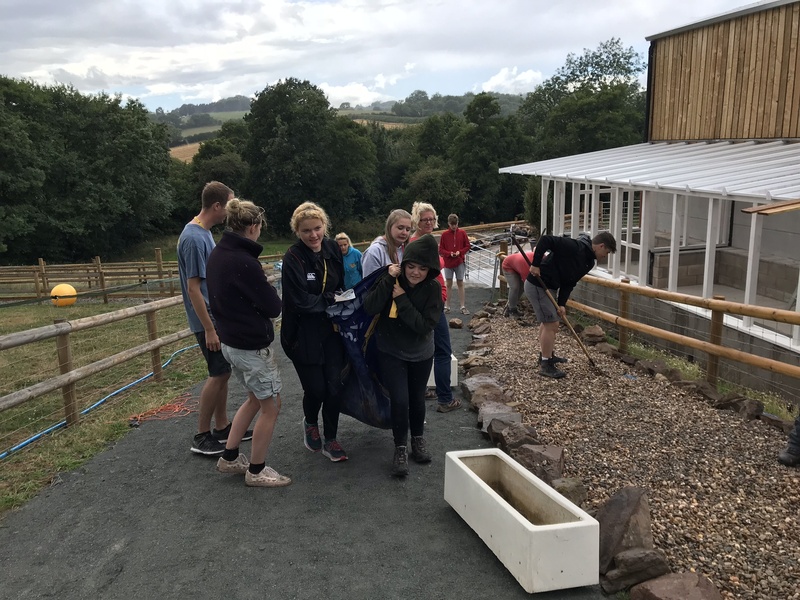 They will be invited to attend the care farm for a couple of hours to try out some activities, meet the staff and animals and to see if they would like to attend in the future. Please contact us to arrange a mutually convenient time. Please contact us to discuss the client’s needs. All participants are required to complete an application form and medical information and emergency contacts form (link or doc). We will send you these forms to complete with or on behalf of your client. We can then arrange a taster session. Is your care farm accessible? Yes! The whole 5 acre site has been designed especially to accommodate people with disabilities and additional needs. All areas are wheelchair friendly. The whole site is fenced and secure. We have both outdoor and indoor areas so that participants can choose activities according to the weather. Our indoor facilities include a heated kitchen and woodworking workshop and heated disabled toilets with a shower and changing facilities. Although it’s a fairly small site, there are plenty of ‘quiet’ places and outdoor sensory areas for people who may need some time out. Please note that all our volunteers will need to have a DBS enhanced check.